This post is just focusing on the update rather than the how-to. This DIY project needed a "third time's the charm" approach and I thought it might end up as a DIY Fail disaster. I'm still not completely satisfied with it but, until you examine it with a magnifying glass, it looks good! 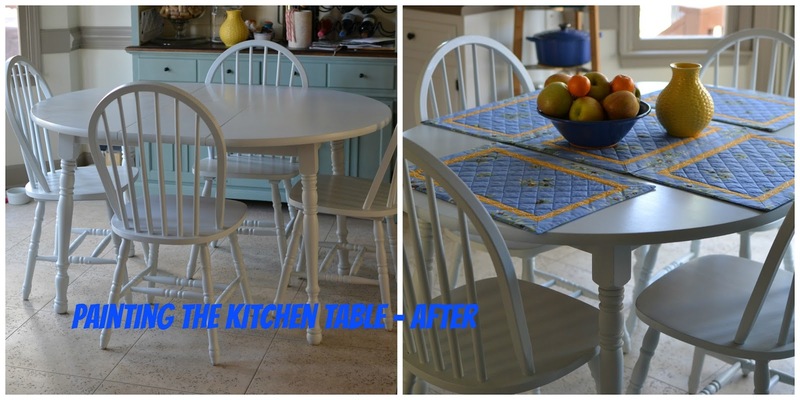 I ended up using a furniture paint on it but if I were to do it again I'd use chalk paint. 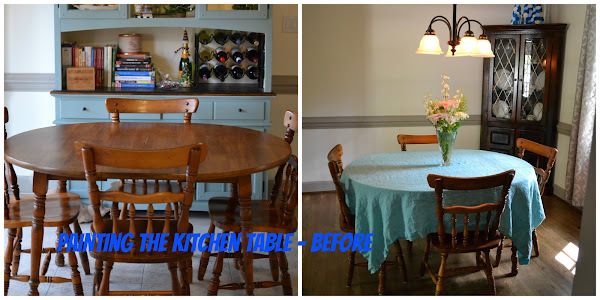 We used chalk paint last year for the kitchen hutch and that seemed to work really well. I don't believe this furniture paint is going to hold up very well. There are already some very light scratches on the surface where keys were thrown on to the table. The major DIY fail was using spray paint, not letting it completely dry and "cure", then having the finishing sealant crackle. So there were two to three coats of spray paint, sealing it, realizing it needed to be done over again, sanding it back down, then a final two coats of the furniture paint. This kitchen table lived in the garage for at least two months. We're just happy it's functioning again and with a few placemats looks great. We've also been making more effort to keep the table free of mail and not the place for the evening drop off of all-the-things so we can enjoy quick breakfasts and weekend lunches in the space. Any pro tips for DIY furniture updating?? I may not have any pro tips but I definitely say it's worthwhile to jump in and tackle the project. Chances are if you're considering a DIY update then you're not happy with the current state of the furniture. I love the way it looks. I admire you for hanging in there with the project!